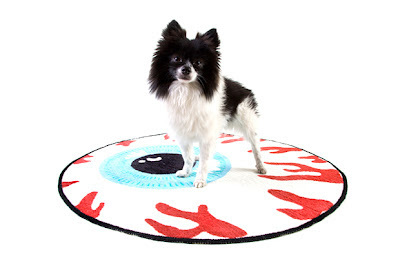 Far from being new (it’s been out since May of this year), Mishka‘s “Keep Watch” rug is the dopest floor covering that I’ve ever seen. They’ve taken their iconic, classic blood-shot eyeball and have blown it up to a huge 36″ diameter. Sure they have mouse pads, key chains, drinkware and even an ashtray, but this takes housewares to the next level. I would love to put it an office or game room with hardwood floors, but could you imagine how crazy a Mishka bathroom would be?! I’d give it flat black walls, matte black tiles, and throw this jam on the floor. I hadn’t written about this item in the past because I swear it was sold out (Mishka’s Bloglin has a hunch as to why that was) and I didn’t want to leave ya’ll hanging with nowhere to purchase it from. No worries, though, because it’s back in stock under the Odds & Ends category in Mishka’s online store. Let’s just hope your lady friend doesn’t get creeped out when she realizes your floor is looking up her skirt. 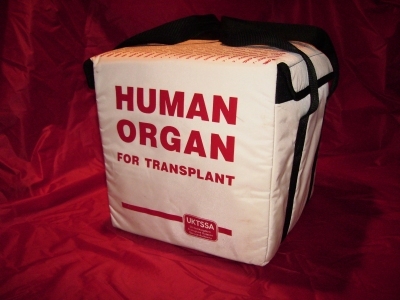 My lunch bag/cooler is falling apart, so I figure it’s time for a replacement. 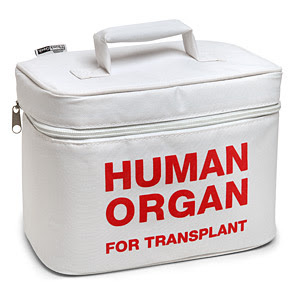 ThinkGeek comes to the rescue with this creeptacular insulated soft lunch box made to emulate the coolers used for actual organ transport. 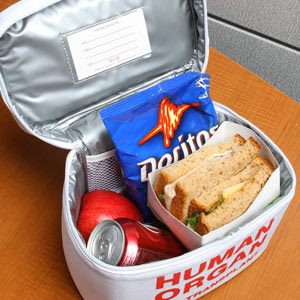 They claim it’ll keep your coworkers out of your lunch; I just think it looks really cool. I want to pair it with these sandwich bags to really gross out my coworkers. Pick it up from ThinkGeek for only $19.99. And if you’re a fan of “Real Genius” like I am, eyeball the limited edition “Pacific Tech” logo t shirt available only until tomorrow, 08/26.